Start Crafting Your Infallible Inbound Marketing Campaign! Ready to rock your next inbound marketing campaign? 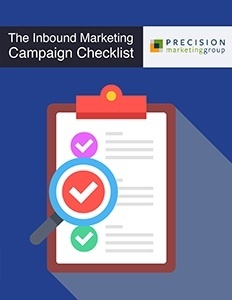 Our handy free checklist will guide you through every step of the process, so you can stay organized and efficient while you build the perfect campaign! Want to build the perfect inbound marketing campaign? Awesome. As super fans of the inbound marketing methodology, we’re psyched to help you generate quality traffic and qualified leads. Leads that – with the right strategy and execution – could convert into paying customers! Inbound marketing is all the rage. Are you ready to rock your next campaign? Simply fill out the form to get your free checklist now – Easy as 1, 2, 3!